August 8, 2017 — In the course of a weeklong ride that spans some 450 miles, cyclists burn a lot of calories. It’s why riders who’ve done RAGBRAI (The Register’s Annual Great Bicycle Ride Across Iowa) have their favorite food vendors along the way. 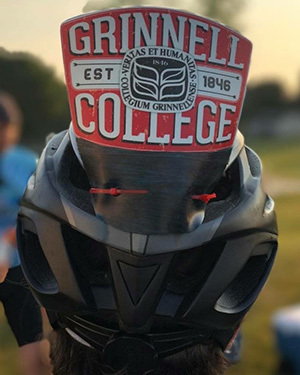 For Team Grinnell – a group of Grinnell College alumni, spouses, partners, friends, and students – special food favorites include Mr. Pork Chop, homemade Iowa brats, and Amish pies and ice cream. “The pancake vendors, the church spaghetti suppers, the bands and the bake sales — it’s like a party and a jamboree in every town,” explains Andrea Martin ’96, who has ridden RAGBRAI three previous times and was this year’s co-leader for Team Grinnell, assisting Molly Campe ’96, from the Office of Development and Alumni Relations. 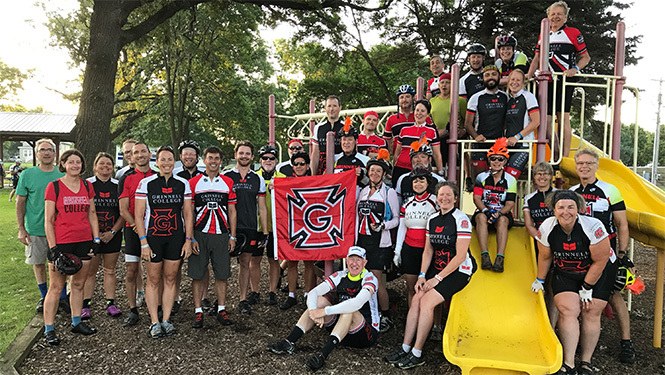 For the past five years, the college has partnered with Grinnell’s local bike shop, Bikes to You, to sponsor the group on the annual July ride. “We all camp together and the shop hauls our stuff from town to town, provides us with maps, sets up tents, and drives us from Grinnell to the starting town and back to Grinnell when the ride is over,” explains Martin. Claire Dooms and Kyle DiDomenico, both ’10, met as first-years at Grinnell (they lived across the hall from one another in Read) and were married this past July on campus. 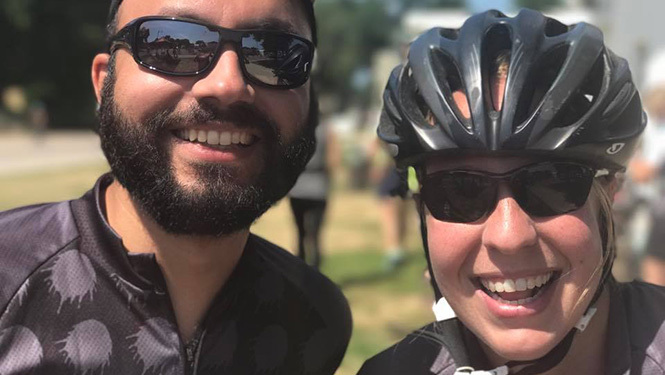 They put off their honeymoon in order to ride RAGBRAI; it’s Claire’s sixth time and Kyle’s fourth, and their second year with Team Grinnell. 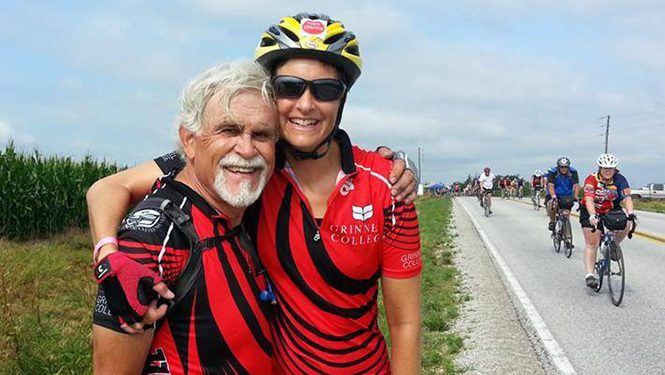 Join the Grinnell College RAGBRAI team facebook group to learn more.